Living rooms are one of the most high-use areas of the home. After all, it is within this space that we curl up with the family to watch TV in the evening, and it is there that we usher guests into first when they come visiting. With that in mind, it is well worth investing in making your living room the most stylish space in your home. What is intentional decor? Well, it's all about choosing a few key pieces to display in your living space and getting rid of everything else. 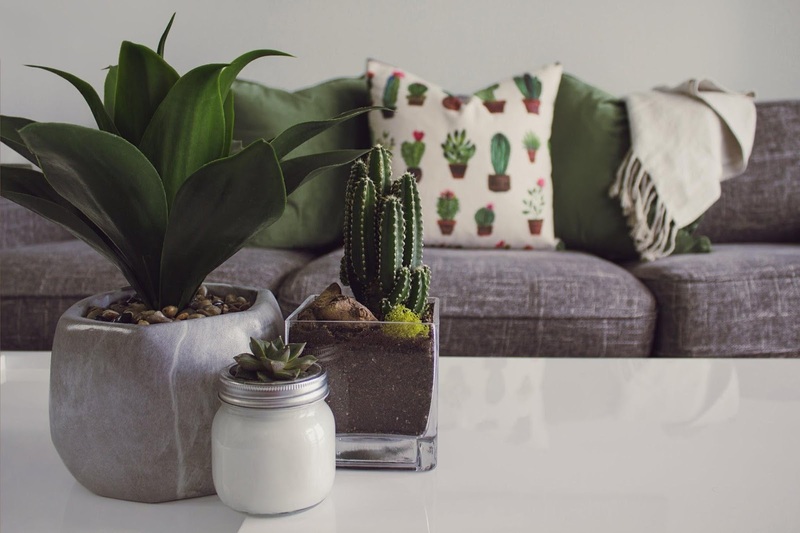 What this means is you need to find some effective way of managing clutter in your living room, whether that is storage baskets or bins, or even furniture that reveals extra hidey holes to put things away. The main benefit of intentional decor is that you can easily make a space homely and personalised without it looking cluttered, or twee. In fact, it's a super smart way of keeping things as stylish as possible in a room that is used frequently. Next, to achieve a supremely stylish look in your living room you need a focal point, and it needs not to be the TV. Yes, I know it's what we often all face in the evening, but it certainly doesn't give off that chic vibe you are looking for. Instead, create a focal point around a fireplace, by a bay window, or even use a piece of art of the wall. The next stage is to hide your TV and electronics away in an easily accessible cupboard. Then all you will need to do is open the door when you want to binge watch Netflix, but when you have guests over or want some quiet, quality family time, you can shut the TV away, out of site. Don't forget either that substance and comfort are also essential parts of style too. What this means is that it is vital to invest in good quality, sturdy couches like this Corndell sofa that you can purchase online. After all, looking stylish is one thing, but if it doesn't serve your families needs, or won't last the test of time, you really will be doing your entire living room a disservice. Lastly, when it comes to achieving a stylish living room space don't be afraid to play with different fabrics and textures. In fact, a chic, current trend is to use fabrics in the form of curtains, cushion covers, and throws to match the season, changing them out every few months to give you a different and exciting look. This is something that can work partially well if you begin with a neutral base such as using a cream colour on the walls. In fact, following this trend can help you not just achieve a stylish living room now, but also keep up with lounge trends for the entire year too!